Once again a mysterious and never seen entity had conspired to make us look unprofessional. 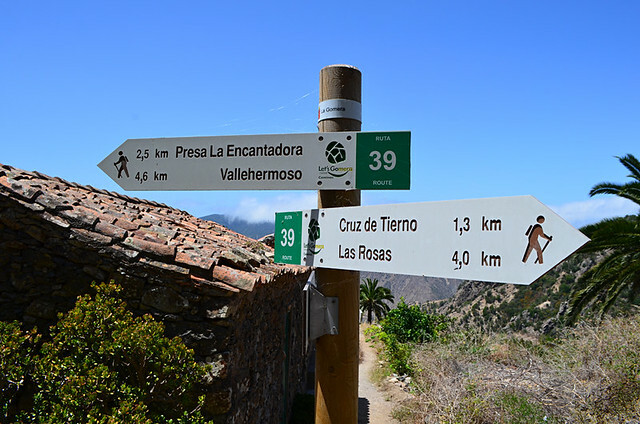 The department responsible for the upkeep of walking signposts on Tenerife had been improving some routes, replacing old signposts with shiny new ones. 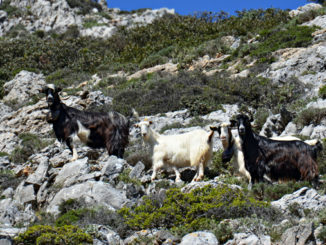 It would be a positive sign the authorities were embracing the island’s growing reputation as a walking destination apart from two things. The new signpost was in a completely different spot from the old signpost and some of the names it pointed to were also not the same as those etched into the previous signpost. Anyone following walking directions might be baffled and cries of ‘J’accuse’ would be hurled towards the authors of the route directions rather than the hapless souls responsible for erecting hiking signposts. A similar thing happened two years later on Gran Canaria. No sooner had we written walking directions covering a significant chunk of the island, when the authorities decided to give some routes a nip and a tuck with, you guessed it, some new signposts not matching old ones. As a result we had to return and walk all of them again. As well as playing eeny, meeny, miny, moe with the placing of signposts, there can be a cavalier approach to the the consistency of signpost and waymark ‘colours’ with some islands doing their own thing rather than observing standard practice. Gran Canaria can be guilty of that crime. Here’s a tale of serious woe for mapmakers. Not so long ago Tenerife changed where the GR131 started and finished. 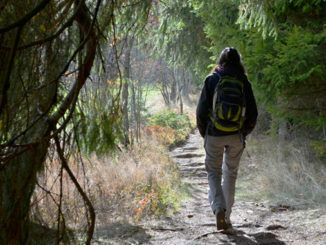 Subsequently every walking map in circulation was suddenly incorrect. 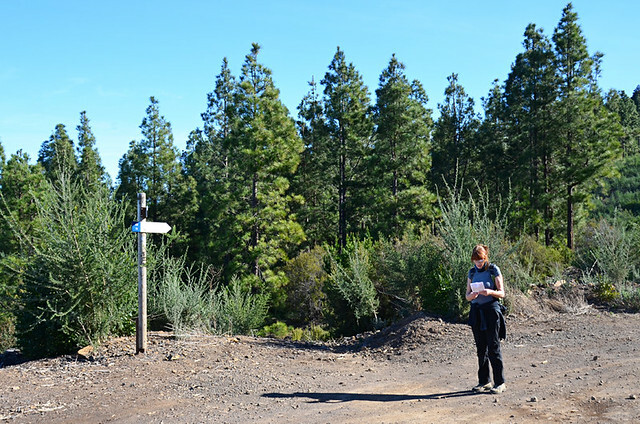 Walking maps for the Canary Islands aren’t of the UK’s Ordnance Survey standard to begin with, but their cause certainly isn’t helped by arbitrary changes to routes. Which leads me on to white and yellow/green and white/red and white crosses on rocks, posts etc. These helpfully warn you’re about to go the wrong way… or do they? Mostly all they’re warning walkers about is they’re not following an official path, not that there is no path. 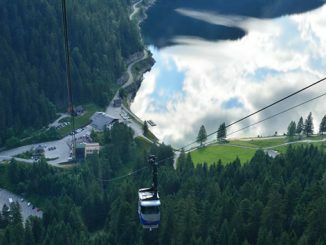 Many routes we have put together follow paths which include those with crosses. But visitors who don’t know how things work on the islands could think a route is officially closed. 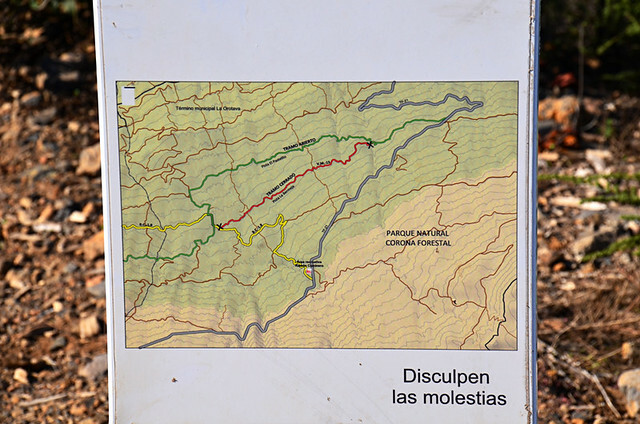 When a route is closed to the public there should be clear signs telling walkers that to proceed is ‘prohibido’. However, there can be a lack of thought regarding where these signs are placed. 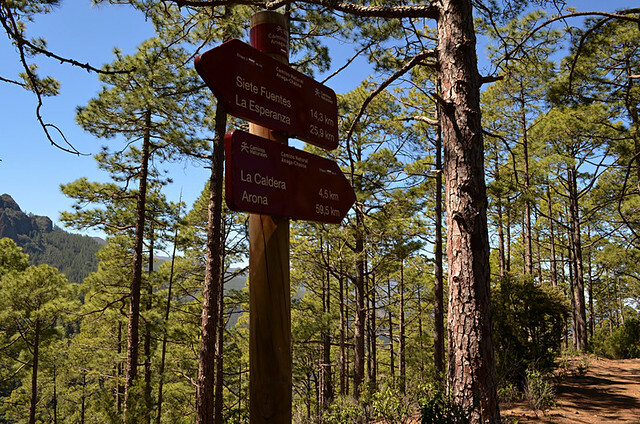 On one route on Tenerife we walked kilometres through the pine forest only to find a ‘prohibido’ barrier blocking the path. There’d been no warning sign at the start of the route. We had two options; turn tale and walk all the way back, which was longer than the way forward, or ignore the sign and proceed cautiously. We did the latter and, in this case, could see nothing that justified the route being closed save for a few sacks of cement which suggested the route was being improved. But there were no actual workmen. Most times though there will be a good reason for route closures so ignoring warnings isn’t recommended. This might sound like a bit of a hatchet job on those in the Canary Islands responsible for the upkeep of walking routes. It isn’t. On the whole they do an excellent job of maintaining paths and helping the islands continue to grow in reputation as one of Europe’s top walking destinations. But they are guilty of being too insular, of not looking at the bigger picture by considering the consequences of their actions. Every time they change a name on a signpost or relocate it, they instantly impact on every walking guidebook and hiking travel company which have routes/holidays on any of the islands. I honestly don’t believe that thought has occurred to those responsible for the development of walking routes in the Canary Islands. There should be collaboration. 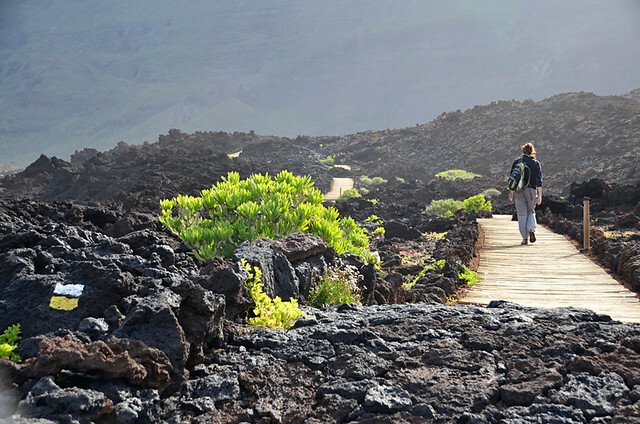 On a positive note, on little El Hierro they use a walking guide to mark routes; the amiable and knowledgeable Paulo. He’s done a cracking job of placing waymarks in the sort of positions that only an experienced walker would think of. It makes them stand out from all other islands. It’s a small scale example of how smart collaboration benefits everyone. 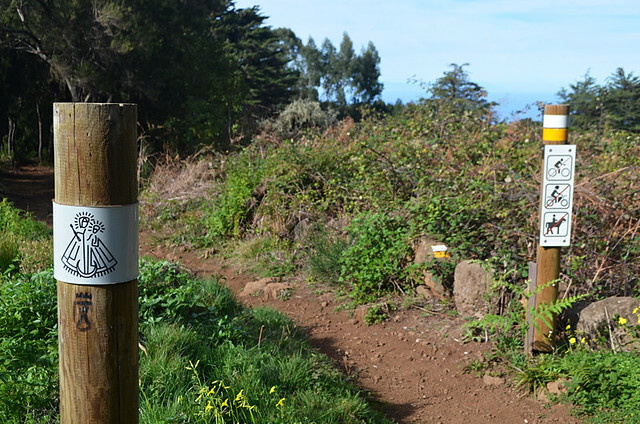 Finally, in case anyone now thinks that following a walking route on a Canary Island might be akin to entering a maze, the anomalies of route creation and maintenance on the islands isn’t going to trouble experienced hikers. They’re more an irritant for people like us and routes are generally well marked. 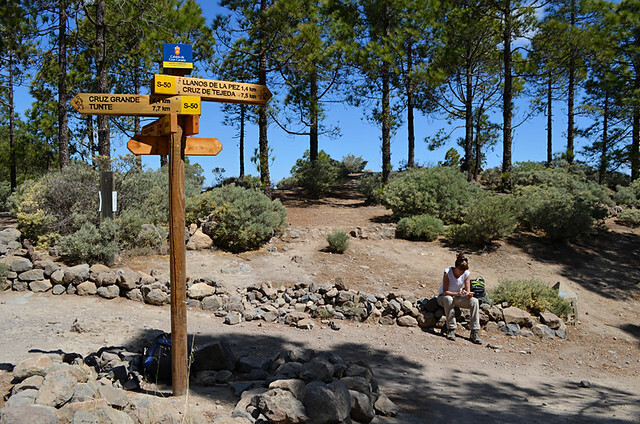 As for the route directions we create for ourselves and for other, we got wise to the ‘quirks’ of the Canary Islands a long time ago and route directions we write are designed to hold up without the aid of official signposts acting as crutches. Even if some mischievous local elf shifts a signpost in the dark of night, the directions will confidently take hold of hikers’ hands and lead them to where they’re meant to be. For those people who aren’t movie geeks of a certain age, the quote at the start was borrowed for dramatic effect from the Charlton Heston version of Planet of the Apes.